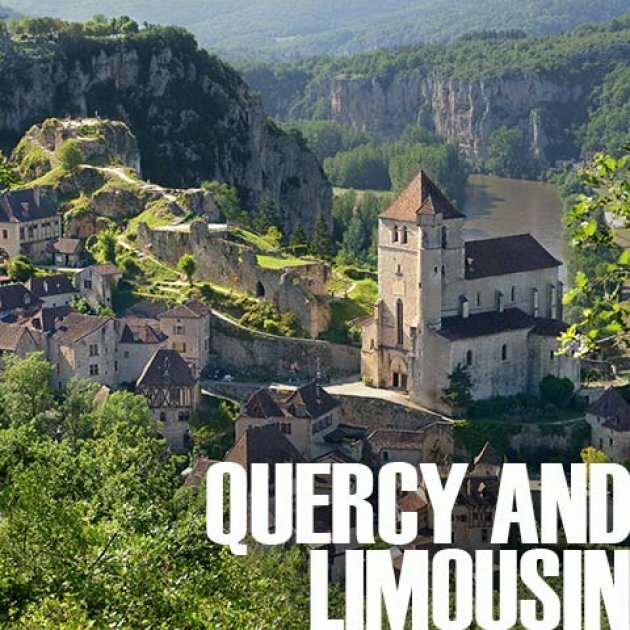 Our tour through the Quercy and Limousin in 7 days, up to 14 persons, with one triple night and one double overnight stay. From Toulouse, the pedelon airport shuttle will take you in an hour to Cahors. To picturesque villages and towns rich in architectural monuments and history. By eBike across archaic landscapes, to cave paintings and best French country cuisine. 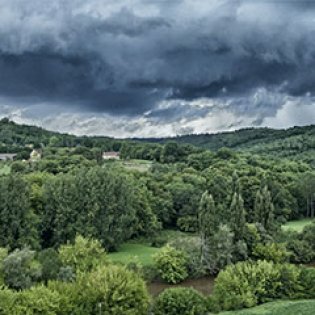 Cahors and Cabecou, or why you must love this region so much. A wonderful journey by eBike on forgotten paths through the still-traditional South-West of France. Booked by you or by pedelon at your request. Flight to/from Toulouse. Airport shuttle to Cahors at 6 PM, 1 hour’s drive to our starting hotel Hotel Divona. The destination station of Cahors can be reached in just over a day’s journey by changing trains in Paris. From there it is only 400 m to the start hotel. Best motorway connection to Cahors, the starting point of the journey. The car can be parked in the hotel garage (80 €/week). At the end of the journey, we bring you back to your car free of charge. 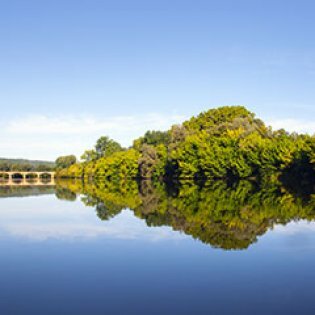 With your booking confirmation, you will receive the “pedelon travel information”, which contains useful notes on traveling to Cahors and other advice around your trip. In Cahors the rooms are available from 2 pm in the Hotel “Divona”. The overnight stay and breakfast Saturday to Sunday and the first dinner together are included in the travel price. If you arrive early, you can walk to the Pont Valenté and enjoy the beautiful old town. At 8 PM, you will meet for an excellent dinner in a very good Auberge, located near the hotel. After breakfast, overlooking the Pont Valentré, the adjusting of the bikes takes place in front of the start hotel. After a first detailed explanation about the eBike, the morning bike ride through the Alststadt leads to the former episcopal see of Pope John XXII. Cahors is replete with historic buildings that still recall the heyday of the city in the 13th and 14th centuries. The cathedral St. Etienne with its two powerful domes and the expressive Romanesque North Portal is particularly worth seeing. After a long coffee break, the path will take you from the Lot valley towards Lalbenque. When switching from the river valley to the lime plateau of the „Causse de Limogne“, the landscape changes. The fertile river wetlands are replaced by scarce karst landscapes. Instead of vibrant villages, the cyclists will find picturesque, nearly abandoned small settlements. In Lalbenque, the secret capital of truffles, everything focuses on the black gold of the Quercy blanc. As soon as you have left the busy little town, you will cycle along lonesome paths towards St Cirq-La-Popie, which you will reach late in the afternoon. One of the most beautiful villages of France, it is a tourism magnet for visitors to the region. You will stay in the hotel of the same name, a comfortable place in a calm area with two pretty swimming pools. Dinner will take place in an outstanding restaurant in St Cirq-La-Popie. Before dinner, you can walk through the alleys of this town from the 12th century. The best moment of the day is likely the chance to experience this jewel of medieval architecture. Cave paintings in the Grotto of Peche-Merle. After breakfast, you can view the grotto de Peche Merle with its cave paintings after only a brief distance by bike. It was created approx. 25000 years before our era. Thanks to the micro climate in the cave, the prehistoric pieces of art are wonderfully preserved. After visiting the grotto, the lonely bicycle path will take you through the Célé valley towards the „Causse de Gramat“. The road, continually rising slightly, is easy to handle for pedelon eBikes and offers a wonderful riding experience to the cyclist. 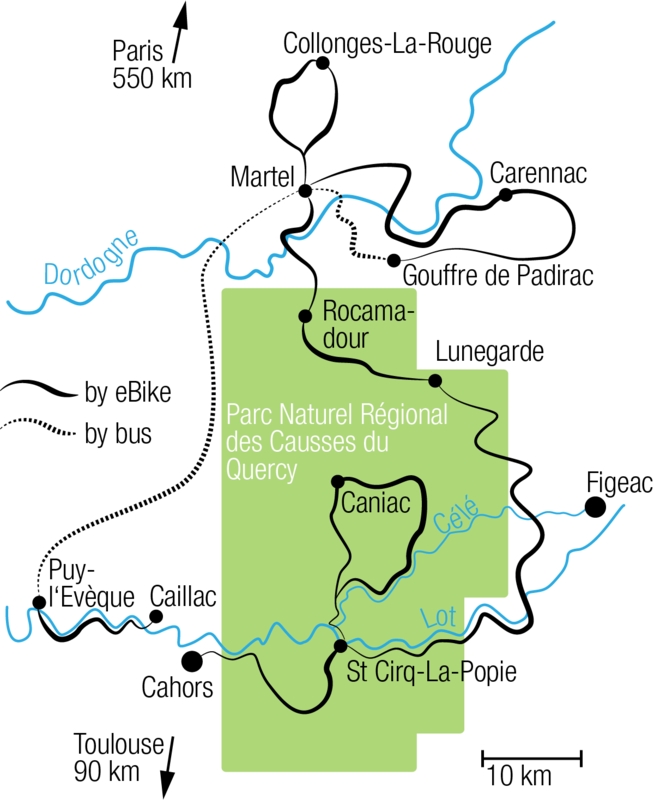 In the middle of the „parc naturel régional du Causse de Quercy“, your afternoon‘s leg will be interrupted in Caniac-Sur-Causse. The visit to the wonderful crypt from the early 12th century is extremely interesting. It is said to have special healing powers to this day. On silent paths, mostly downhill, the route returns to the Célé valley. After a stay in the picturesque village of Marcilhac-sur-Célé with its ruined monastery and its picturesque ensemble of houses, the hotel “St Cirq” will be reached again in the late afternoon. Very good dinner will be served in a small village near the hotel. The monastery district of Rocamadour. In the morning, the cycling tour takes you along the Causse de Gramat to Lunegarde. In the pretty village on the Causse we find the small church Saint Julien with frescoes from the 15th century particularly worth seeing. Along secluded streets, you will pass through small oak forests with juniper and broom bushes to Rocamadour, one of the most important places of pilgrimage on the way to Santiago di Compostela. The church district with its seven chapels is visited annually by many thousands of pilgrims. Before we continue to cycle you have enough time to stroll through the only alley of the secular district. Crossing a side valley of the river Dordogne, through walnut plantations and fertile fields, we reach Martel in the late afternoon. The „Relais Ste Anne“ belongs to the top houses of the region. Madame Rimet-Mignon is leading your hotel with great commitment and her son takes care of the excellent cuisine. The former monastery has a beautiful swimming pool and a wonderful park. Three luxury rooms are located in a neighboring city palace. It is always a very special experience to live here. In the Gouffre de Padirac. In the morning, we will visit one of the biggest drip caves in Europe, the „Gouffre de Padirac“. With the elevator you go down into the 75-meter-deep and 33-meter-wide, almost circular hole. The legendary river cave has been known for many centuries and was held in the Middle Ages for the entrance to hell. After the detailed visit, the bike route leads over the karst Causse de Rocamadour to Autoire. The picturesque village nests in an impressive valley hollow, framed by high limestone rocks. Manor houses with towers, a wonderful village fountain surrounded by typical houses and the crystal clear river below complete the particular charm of the place. After the lunch break we continue cycling in the vicinity of the Dordogne crossing light woods and over succulent meadows to Carennac, many beautiful old stone houses and a historical monastery complex with a lot of patina invite to a longer stay. The remaining kilometers back to Martel lead first through the fertile Dordogne valley and just before the day‘s destination a bit longer uphill to the hotel, with our eBikes a pure pleasure. For dinner, you will meet in one of the best restaurant Martels, known for excellent traditional dishes. The red facades of Collonge-La-Rouge. Before cycling on to Southern Limousin, you will explore the prettiest alleys of Martel on a small round tour. 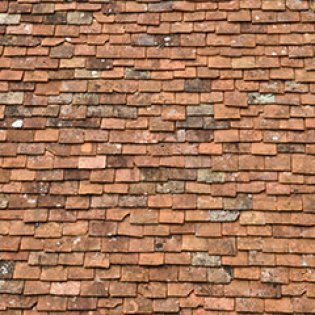 If you are interested, a local will tell you about the restoration of natural stone houses entertainingly. 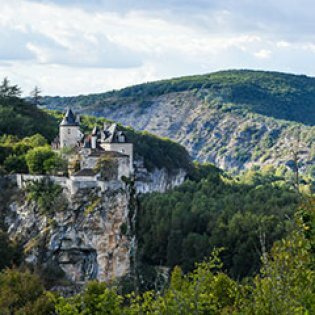 After a brief cycling time through the lush landscape with large deciduous forests and richly decorated valleys, you will reach Turenne. The Carolingian country is mentioned for the first time in the early 9th century. The castle, however, has existed since the 8th century. The Duke of Aquitaine was besieged by Pippin the Short here in 767. On a route with wonderful views, you will continue to Collonge-La-Rouge. The old relay station on the Way of St. James was a bailiwick of the Vicomtes of Turenne. The architecture of the houses in Collonges-La-Rouge reflects the rural construction of the 16th and 17th centuries nearly perfectly. The Bourgeois houses, church and the town‘s abbey were built of red sandstone. This is reflected in the name „La-Rouge“. Silent paths will take you back to Martel. At the end of the rich in impressions day, we will meet in an excellent restaurant near the hotel. After breakfast and a final walk through the medieval streets of Martel, a one-hour transfer will take cyclists to Puy-L’Évêque. The former summer residence of the Bishops of Cahors was in English hands and heavily fortified during the Hundred Years War. The picturesque village was able to withstand the turmoil of these uncertain times and even the religious wars without harm. The last stage of the journey leads through the famous vineyards of Cahors. The French President George Pompidou made the “black wine”, which must consist of at least 70% Malbec vine, famous far beyond the borders of France. 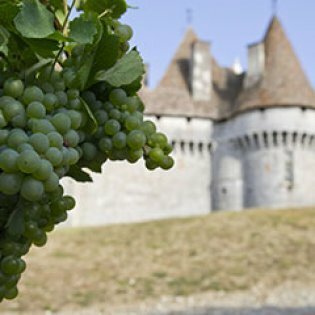 Many picturesque wine villages line the way to Caillac, which invites everyone to a wine tasting. In Albas, in the Chateau Eugénie, the Vinzer awaits the cyclists to present one of the best wines of the Cahors. Shortly before the day’s destination Caillac, the winery “Château Caix”, which belongs to the Danish royal family, ends the bicycling through the contemplative wine region of the Lot. For the last dinner together, we meet in the hotel restaurant “Le Vinois” by Jean Claude Voisin, who enjoys an excellent reputation as a chef. View over the rooftops of Toulouse. Before the bus takes you back to the airport to Toulouse or the guests to their car to Cahors, you can walk from the hotel to the Château Lagrezette and taste the excellent wine in the castle, or you can enjoy the beautiful hotel pool before going back to Toulouse airport. If you would like to stay longer in the region, we will be happy to give you tips on design and accommodation in the “pedelon travel information”. The region is so abundant in culture and nature that an additional stay is always worthwhile. Beautiful views from above presented by Eric Perrin on France 3. Rocamadour, a medieval city attached to its cliff, with the splendour of stone illuminated by the lights of the setting sun: here is an image, etched in eternity, that will live in your memory. This extraordinary village will take you to another time, a time when people came from afar to venerate the Black Virgin. Spectacular pictures taken by a drone. 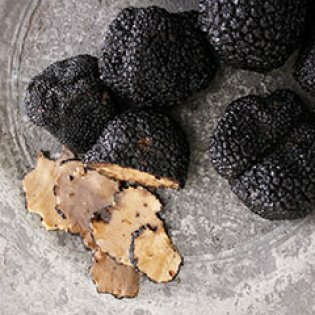 The truffle has been renowned since Antiquity, notably for its aphrodisiac qualities. 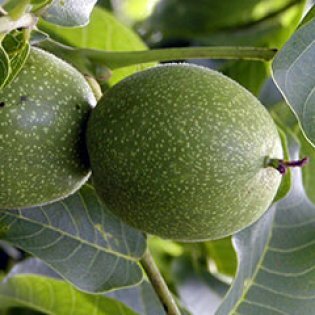 It graced the table of kings and the great Arab physician Avicenna recommended it to his patients. But this fungus, highly appreciated by gourmets and which grows at the root of trees, remains something of a mystery. 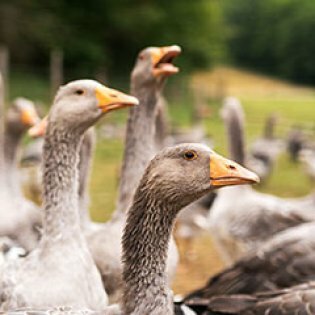 To find out more, we head to Lalbenque, home to the “black diamond” truffle, near Cahors in France’s Lot region. The “Auberge Lou Bourdié” is one of the restaurants on our trip.